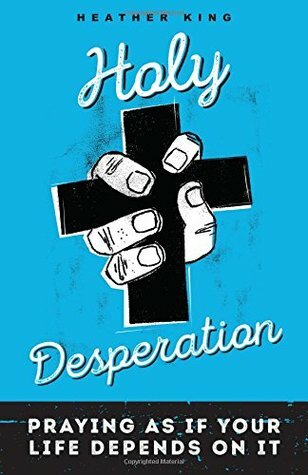 The title of this book ‘Holy Desperation’, grab my attention immediately. Also the subtitle of the book ‘Praying as If Your Life Depends on It’ spoke to me. There have been times where all that has kept me going is prayer; even times when my faith was a struggle, prayer got me through some really tough times. So I dove in with great anticipation. But the book was not quite what I expected. But the book was not as what I expected it to be. The book was far more autobiography, and about service, reaching out and going beyond your comfort zone than it was a guide to praying especially in hard times. Now don’t get me wrong there was a lot about praying. And specifically praying when you don’t think you should, or don’t feel you should. 3 What Do We Mean by God? 7 I Call You Friends . 9 Let Him Who Is without Sin Cast the First Stone . 12 Store Up Your Treasure in Heaven. 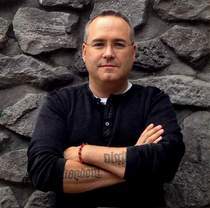 The author writes from personal experience. And it is experience that is very different than the road most of us will walk. But heathers vulnerability, openness, and transparency about her own struggles and the way her own prayer life has changed and progresses serve as an example to us all. It serves as an example of not just wanting prayer in our life, but about walking the walking. Growing prayer as part of our life, day in and day out. About waling prayer. This was my introduction to the writings of Heather King. But it will not be the last. The writing style is very engaging. It is easily accessible. I really enjoyed this book and immediately though of a few friends who would enjoy it and a few others who would really benefit from reading it. So sometimes when you get what you are not expecting it is exactly what you need, and that is how I feel about this book!